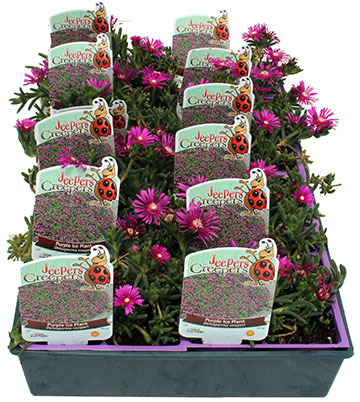 Jeepers Creepers USA plants are shipped FREE and FRESH from our own Colorado greenhouses. The more of the same variety you purchase the greater your discount! For example buy a 1/2 tray (24 plants) at $70, but purchase a full tray (48 plants) at $114 and you save $24! 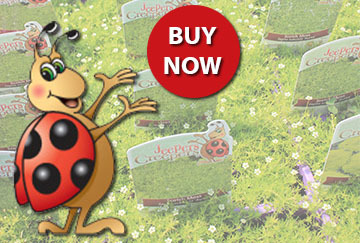 Welcome to Gulley Greenhouse ...Your U.S.A. grower and retailer of Jeepers Creepers ground cover plants. Orders received before Friday will ship the following Monday. Orders received after this time will ship the following week on Monday. Jeepers Creepers begins shipping new crops in March and continues to update the inventory through November. If a plant is Out of Stock, please click on the "Put me on the Waiting List" link to add your contact information. A Customer Service Representative will e-mail you as soon as that plant becomes available again. Replace thirsty lawns with an attractive and drought-tolerant living carpet! A less demanding lawn alternative allows you to reduce your water, fertilizer, pesticide and mowing requirements. Jeepers Creepers are a particularly good solution for steep slopes. Add an attractive finishing touch to highlight your creative stone or woodwork. Fragrant-leaved selections will release a pleasant scent when walked on. 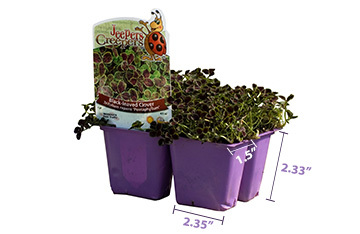 Cascading types of Jeepers Creepers are excellent in containers where they can spill over the edges or fill in between other plants. More vigorous types are great for planting with bulbs to help cover up holes left by dying foliage. These low plants are the ideal size for the front edge of a flower border. Jeepers Creepers are durable perennial plants. Their low spreading habit makes them ideal for use as a ground-cover, lawn substitute, pathway or edging plant. Some types will even tolerate foot traffic!